Good audio, not my favorite book ever. The narrator for this book is extremely good, however I was not as impressed by the book itself. 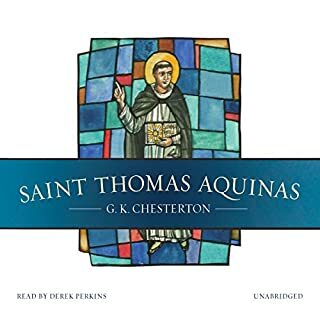 GK Chesterton is very popular, and he was a very good writer, however, his books have never appealed to me very much and this is not an outlier. It's not a scholarly biography or outline of Aquinas' thought, which was what I was hoping for. Still, the narration was excellent.